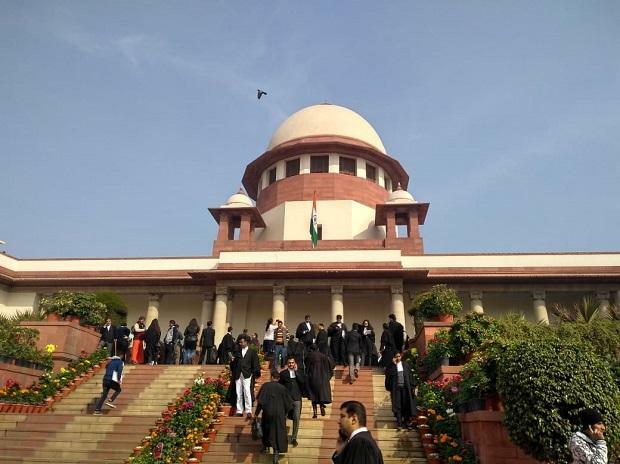 The Supreme Court on Wednesday said it will hear the pleas challenging the validity of the Centre's decision on issuance of electoral bonds for political funding on April 5. A bench headed by Chief Justice Ranjan Gogoi told advocate Prashant Bhushan, appearing for one of the petitioners, Association for Democratic Reforms (ADR), an NGO, that the matter would be heard by an appropriate bench on April 5. ADR has recently filed an application in the court seeking a stay on the Electoral Bond Scheme, 2018, which was notified by the Centre in January last year. It has said that amendments carried out in the relevant Acts have "opened the floodgates to unlimited corporate donations to political parties and anonymous financing by Indian as well as foreign companies, which can have serious repercussions on the Indian democracy". The application further said: "Electoral bonds are being made available for a large number of days in the three months leading to the general election in the country...in April-May 2019 to constitute the 17th Lok Sabha." The matter holds importance as the Centre and the Election Commission (EC) have taken a contrary stand with the former justifying the decision saying it would promote transparency in political funding while the later saying the changes made in the law would have "serious repercussions". In its affidavit filed on one of the petitions filed by the CPI(M) and its general secretary Sitaram Yechury, the Centre had defended its decision to issue electoral bonds, saying it aimed at ensuring "enhanced accountability" and pushing electoral reforms "to defeat the growing menace of black money". The Centre had said the electoral bonds were introduced on January 2, 2018 to promote transparency in funding and donations received by political parties. "Keeping in view the emergent need to ensure that there is enhanced accountability and electoral reforms to defeat the growing menace of black money, especially when the country is moving towards a cashless-digital economy, the legislature has adopted a conscious legislative policy culminating in the introduction of the electronic reforms," the Centre's affidavit said. Only a political party registered under section 29A of the Representation of the People Act, 1951 and which had secured not less than one per cent of the votes polled in the last election to the Lok Sabha or a legislative assembly, would be eligible to receive the bonds, the Centre had said. The affidavit, filed by Director (Law) of the EC Vijay Kumar Pandey, said the poll panel had informed the ministry that "certain provisions of the Finance Act, 2017 and the corresponding amendments carried out in the Income Tax Act, the RP Act, 1951 and the Companies Act, 2013 will have serious repercussions/impact on the transparency aspect of political finance/funding of political parties". Referring to the EC's communication with the ministry, it said: "It is evident that any donation received by a political party through an electoral bond has been taken out of the ambit of reporting under the contribution report as prescribed under section 29C of the RP Act. "In a situation where electoral bonds were not reported, it cannot be ascertained whether the political party has taken any donation from government companies and foreign sources." It had sought striking down of the amendments to the Finance Act, 2017 and the January 2, 2018 notification issued by the Ministry of Finance, whose cumulative effect was that political parties were entitled to receive unlimited donations from individuals and corporations, including loss-making and foreign corporations, without having to record or report the sources of such funding.